The versatile screen printing process has been a core ADS technology since the earliest days of the business. Now highly automated, the technique allows intricate multi-color images to be printed on high-tech engineered plastics at high speeds. In addition to graphic images, ADS routinely prints surface textures, adhesives, and electrical circuitry. The process of thermoforming allows ADS to add the third dimension to its decorative plastic products. Using single part tooling systems, which do not damage the plastic film, flat printed images are soft-formed into complex 3D surfaces. ADS has perfected the art of printing pre-distorted images which thermoform into perfect parts. ADS employs sophisticated tooling systems to stamp parts into shape without disturbing the printed image or creating damaging filings. 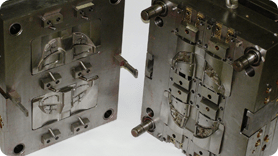 In the case of Inmolded components, the die cutting process extends to the third dimension in order to allow the printed image to match perfectly with the parting line of the injection mold tool. In addition to the common single-shot and multi-shot injection molding, ADS has adapted the plastic molding process to include the InMolding variant. A printed, formed applique is inserted in the cavity of the mold tool on each cycle resulting in components which are decorated during mold process. 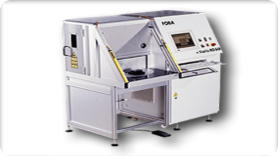 Unique tool designs, gating systems, and molding processes are the hallmarks of this technology. ADS is one of very few, high volume, multi-shot In-Mold decorators in the world today. ADS employs automated, robotic paint lines to complement its range of decoration technologies which it offers the market. 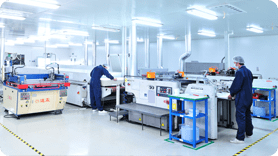 Using clean room techniques, the company is able to supply high quality finishes which are robust and competitively priced. ADS uses both hydra and solvent based paints. Our tool shop can manufacture and maintain tools in-house. 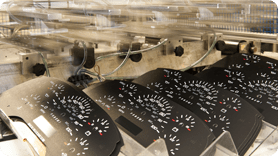 Our competencies are tool construction, tool manufacturing and tool optimization – as well as construction and manufacturing of measuring gages. Various tool manufacturing include milling, grinding, drilling, wire cutting, laser welding, start boring, and electrode milling. 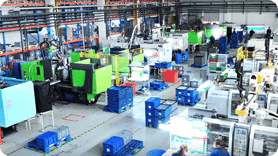 ADS’ significant investments in the tooling shop allows for expansion of our technologies and capacities, as well as increases our competitiveness in the production of injection molding tools. As a long established supplier of IMD products, the process of Painting and Laser Etching plastic components was often considered as a rival technology to ADS’s traditional techniques. However, as our customers demand higher level assemblies, it is clear that PLE is a complimentary technique to IMD and many of our products actually feature both techniques on the same component. 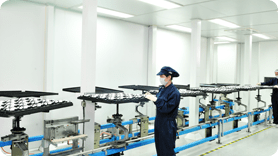 PLE is a ADS core competency within each region of manufacture. ADS enhances its core competencies with a number of additional techniques including assembly, hot stamping, pad printing, heat staking and ultra-sonic welding. ADS is also well versed in developing assembly solutions for our customers to allow utilization of our components with ease.